Four Condominium Units in Woodside Condominium Community. Each unit is approximately 758 sq. ft. with 2 bedrooms, 1 bath, kitchen, living room and utility room with washer/dryer hook-ups. Kitchen includes range/oven, refrigerator and dishwasher. Units have been maintained nicely by builder/owner. 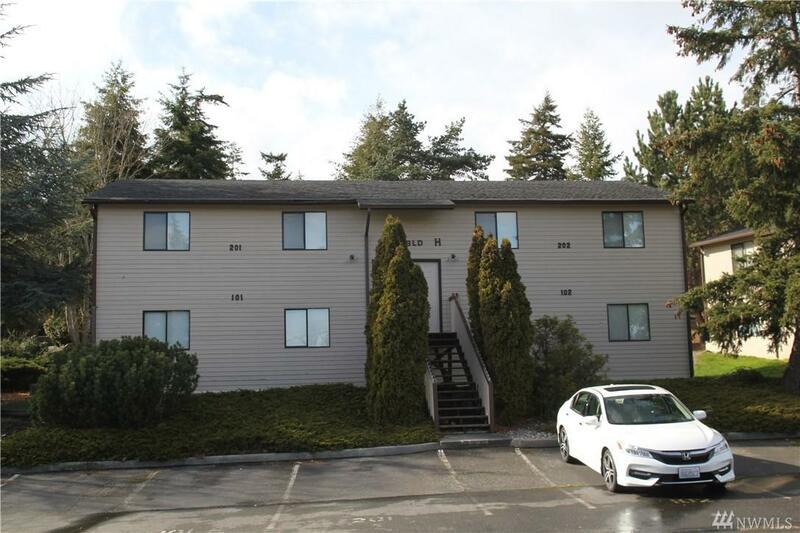 Tenants like the location and convenience to downtown & NAS Whidbey Tenants pay w/s/g plus base rent. Each unit has it's own parcel number in Island County. Tenants may rent a key to clubhouse.